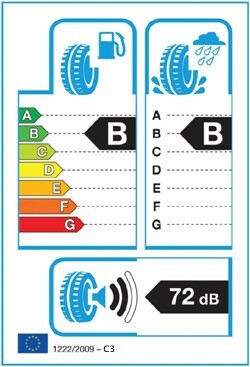 From the 1st of November 2012, the EU Tyre Labelling Regulation announced in May 2010 means that all new tyres sold must carry information that grades wet braking, rolling resistance and noise levels, using a picture similar to that already used when buying electrical equipment such as fridges. Many consumers are currently unaware of the impact that different tyres can have on fuel bills as well as the environment, and it is expected that this change will enable consumers to be more aware of the why high quality tyres are important. The change will enable consumers to make an educated decision on what to spend their money on and give confidence and independence in their purchases. All manufacturers will have to ensure information is supplied with every new tyre that leaves the factory, whilst all retailers must make sure the customer is shown the information before the sale. The new grading system means higher standards, and this could mean many tyres currently on sale and at the bottom end of the market, particularly those from China, will become illegal overnight. Tyres which do not grade well on important issues such as wet grip, fuel efficiency and noise levels will be gradually phased out as the demand decreases. With the new labelling system it is expected that the use of more fuel efficient rubber will increase considerably; this in itself will be a major contributory factor in reducing Co2 emissions while lowering fuel consumption costs.